Can You Mix A German Shepherd With A Wolf? Is it possible for wolves and dogs like german shepherds to interbreed and create a hybrid species? The short answer is yes, though to understand why it is beneficial to go into the evolutionary history of wolves and dogs. Wolves, like dogs, are members of the genus Canis and they shared a common ancestor fairly recently in the history of evolution. In fact, dogs are direct descendants of gray wolves, who are still around today. So in other words, dogs are just domesticated wolves. There are over 150 different breeds of dogs in the world today, reflecting how human breeding has forced the evolution of dogs into many different smaller subtypes. However, at their core, dogs are merely a subspecies of Canis lupus, the wolf. Dogs are Canis lupus familiaris. While biologists at one time made a distinction between dogs and wolves, dogs are now just considered a subspecies of wolves. While early biologists assumed that the wide amount of diversity seen in dogs must have reflected interbreeding with various types of wild canines, modern DNA science implies all dogs are directly descended from wolves. However, it is possible that the domestication of dogs occurred multiple times in different areas, making multiple groups of dogs that came from unique common wolf ancestors. There is still much debate about when exactly this process of domestication occurred. Dates ranging from 14,000 years ago to around 130,000 years ago have been proposed for the evolution of wolves to dogs. Even so, the association between wolves and humans probably started long before the 14,000-year mark, with thousands of years needed for wolves to give way to dogs. Wolf bones have been found alongside paleolithic era shelters, and it is speculated that wolves were already incorporated into some part of the early human culture at this time. It was also once thought that domestic dogs and wild dogs, like the dingo, were separate species. However, a study conducted in 2016 investigated the subdivisions and demography of gray wolves using whole-genome sequences. This study found that dingos and dogs are not separate species and that there was a genetic divergence between Old World and New World wolves, forming two distinct clades. This old world clade then diverged into old world wolves and ancestral dogs some 27,000 – 29,000 years ago. Despite the fact that all dogs are descended from wolves, some dogs share greater percentages of their alleles with certain wolf species than other dogs do. One Asian wolf species known as the Taimyr wolf is thought to have lived around 35,000 years ago, and comparing the dog lineage to both the Taimyr wolf and the gray wolf show some dog breeds have a closer association to one or the other. Breeds like the Greenland dog and the Siberian husky, as well as the Finnish spitz and the Shar Pei, have more alleles associated with the Taimyr wolf than other breeds of dogs. By contrast, the Saarloos wolfdog has more gray wolf DNA in it than any other known breed of dog. The fact that dogs and wolves are essentially the same species means that they can interbreed. More than that, they can interbreed and create fertile offspring, unlike some different yet related species that can interbreed and produce sterile offspring. This is called being interfertile. While Wolf-dog hybrids sometimes occur naturally in the wild, natural occurrences are extremely rare due to the territorial nature of wolves. Wolves are quick to protect their home territory from other intruding canines like coyotes, other wolves, foxes, and dogs. So this means that German shepherds and wolves could interbreed to create viable wolf-dog hybrids. However, there are issues with breeding wolves and dogs together. Wolf-dog hybrids do not act just like regular domestic dogs. The process of selective breeding for the thousands of years that humans and dogs have maintained a relationship with one another have altered the physiology, lifecycle, and behavior domestic dogs. Wolves have relatively predictable instincts that are displayed both in captivity and in the wild, such as strong pack behavior, complex social interactions, a territorial nature, and notable hunting behavior. These instincts are frequently carried over into wolf-dog hybrids, and hybrids frequently have behaviors which make them difficult to raise and care for. Furthermore, because the genetic diversity within a litter of wolf-dog hybrids is greater than the genetic diversity between two different dogs, a litter of hybrid offspring will have a greater range of behaviors and appearances. This means that their behavior is even more inconsistent and difficult to manage. Domestic dogs and wolves mature at different rates, and this different rate of physical and mental growth makes the development of a wolf-dog hybrid difficult to predict and manage. When wolves reach sexual maturity, a shift in their balance of hormones triggers behavioral changes in them. This may also be true of hybrids. Wolves usually take somewhere between 1 to 4 years to reach sexual maturity and when this occurs their roles in the pack begin to shift. Status becomes much more important within the pack at this time, and the young wolf may begin to challenge its pack mates to try and achieve a higher ranking position within the pack. This type of challenge can sometimes be transferred to humans, when wolves are in captivity, with the wolf displaying behavior perceived as stubborn or aggressive. By contrast, domestic dogs only take around 6 to 8 months to reach maturity, and they have much more stable behavioral patterns, with fewer hormonal changes. 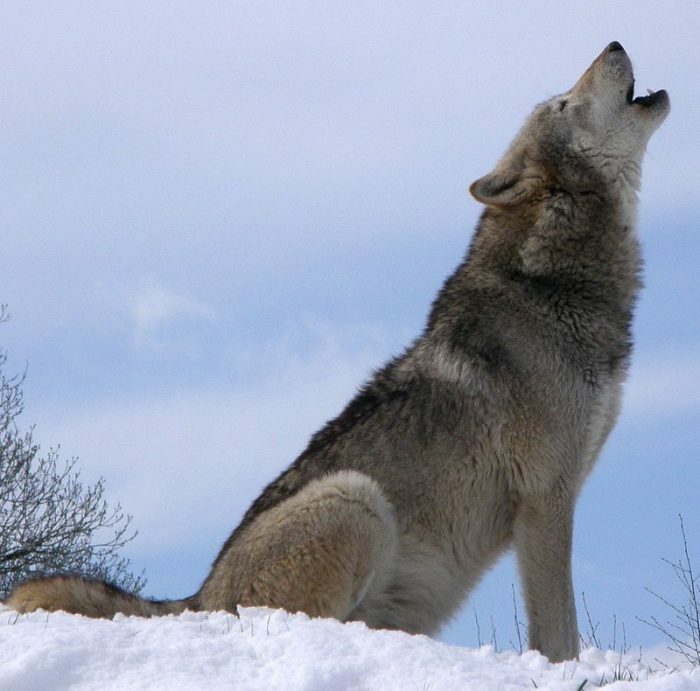 While the type of challenging behavior found in wolves is also found in dogs, it is usually much less pronounced and less intense. Hybrids of wolves and dogs, therefore, can display some combination of behavioral changes and maturation rates. Another aspect of hybrids that makes them difficult to raise is that wolves mark their territories and protect their food sources by urinating and defecating in an area. Domestic dogs have had much of this territory marking behavior repressed by evolution and breeding, and desires to urinate in an area can usually be eliminated by training. Wolf-dog hybrids display a mix of these two different patterns of behavior, and their level of territoriality can be anywhere on the spectrum. The Saarloos wolfdog is a cross between a German shepherd and a wolf, initially bred by Leendert Saarloos, a Dutch breeder, in 1932. 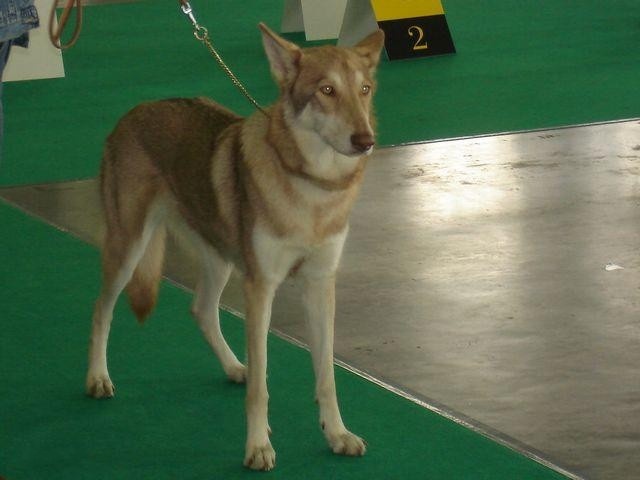 Saarloos wolfdogs have been recognized by some kennel clubs as official breeds. 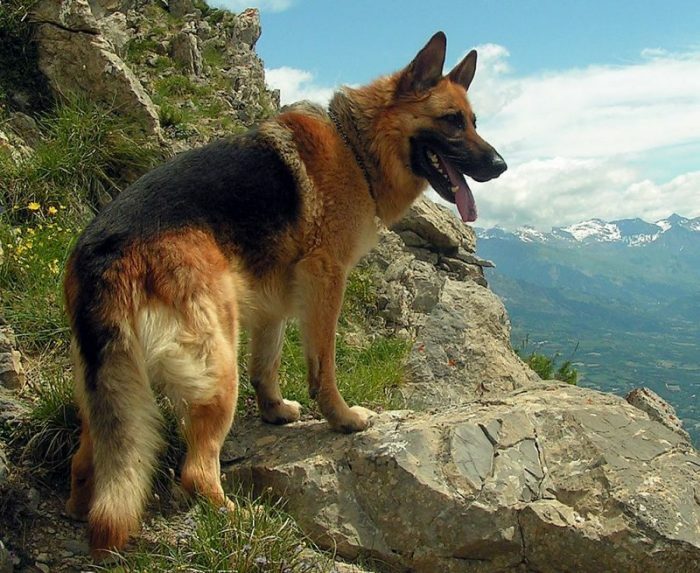 The German Shepherd itself is rumored to be a product of breeding with wolves, being bred in Germany near the beginning of the 20th century, and was sometimes referred to as the “Alsatian Wolf Dog”, though in the late seventies British kennel clubs would begin calling the dog the German Shepherd. The Lupo Italiano is another breed of wolf-dog that is rumored to have been created through the breeding of a German shepherd with a wolf originating in Lazio, Italy. However, genetic tests of the breed haven’t found any connection between the dogs and the Italian wolf. Kunming wolfdogs are a specific breed of dog originating in China, and unlike other wolf-dog hybrids they are capable of becoming working dogs and guard dogs because of the German shepherd ancestry in them. Do Hybrids Make Good Pets? While some people have had success with keeping and raising hybrids as pets, the mix of a wild set of genes with a domestic set of genes quite often leads to difficulties raising the animal, and owners often are surprised, displeased, and overwhelmed when their hybrid begins to manifest traits that are difficult to manage. Many people take in hybrids with the mistaken belief that the hybrids will be better guard dogs. In reality, wolves have a shy nature and as a result, hybrids usually make poor dogs if protection is the primary consideration. It is also often thought that hybrids tend to be healthier than regular dogs, and are less susceptible to the diseases that regular dogs are susceptible to. Yet both dogs and wolves are prone to the same infectious diseases. While dogs are social animals, wolves are arguably even more so and demand a large amount of attention and interaction from their pack. This means that wolf-dog hybrids often need more attention and interaction than their owners can give them. 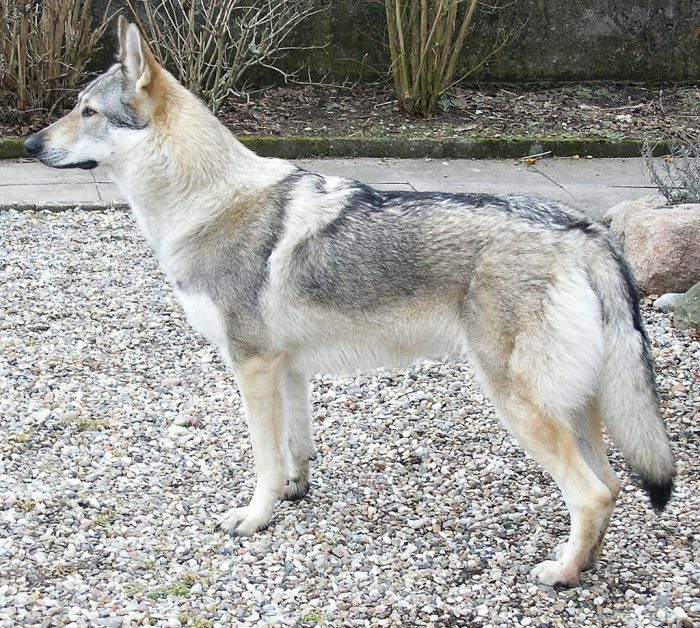 While some owners of wolf-dog hybrids make efforts to become educated about the potential challenges of raising a hybrid, many others do not. This lack of education frequently results in scenarios where the behavioral and social needs of the pets are not met, the animal displays behavior that their owner perceives as being stubborn or aggressive, and the animal spends most of its days being chained up or kept in small cages. Better education about the health, behavior, and containment challenges of both wolves and wolf-dog hybrids could help prevent unpleasant and possibly dangerous outcomes for both the animal and the human in the relationship.